TomTom today announced a new partnership with UK insurance broker Motaquote which will drive down the cost of car insurance premiums by tracking car drivers with an amended satellite navigation device. Both companies will combine to offer motorists a new policy — Fair Pay Insurance — which “rewards ‘good’ drivers with lower premiums,” giving them control over their own policy by simply driving safely instead of basing premiums on location, gender, age or vehicle. If a brave driver signs up, they will be given an amended TomTom PRO 3100 navigation device, which will provide ‘Active Driver Feedback’ and LIVE services (which includes traffic and speed camera warnings). The services will also assist policy holders when driving by warning them of accident blackspots, adding towards experience that will ultimately lower their premium. Cars will also be outfitted with a LINK tracking unit that will allow both Motaquote and the driver to check on their driving. The unit comes with a driver dashboard interface so it can be checked within the vehicle but also provides online access to view journey details and driving behaviour. If that wasn’t enough, driving information will also be sent in regular email bulletins. “We’ve dispensed with generalisations and said to our customers, if you believe you’re a good driver, we’ll believe you and we’ll even give you the benefit up front,” said Nigel Lombard, Managing Director of Fair Pay Insurance. 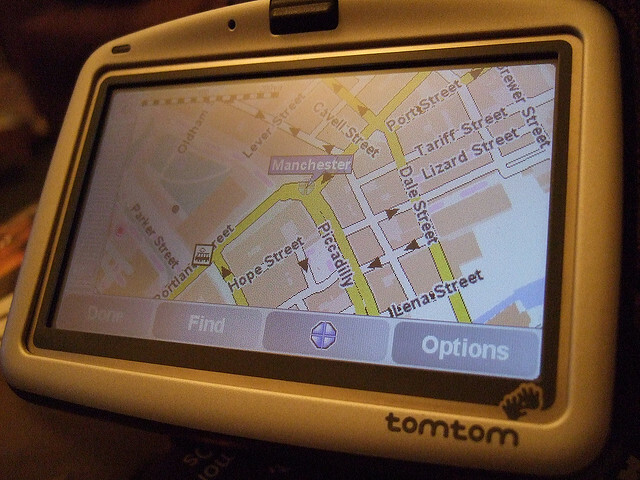 With TomTom feeling the pinch from smartphone mapping providers, including Google, the Amsterdam-based company has been forced to look into additional services to differentiate itself from its rivals. Its new initiative could ensure drivers travel more safely, helping them save money in the process.